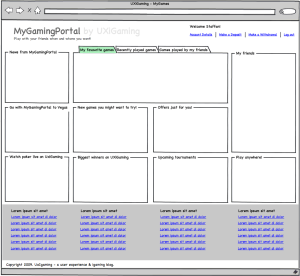 It would be really cool if players could create their own personalised gaming portal page! I call this a “Player-created portal page”. This will give you a strong relationship with the players and a way to communicate about things that aren’t just bonuses and new games. You can supply new cool widgets which will give them a reason to come back more often to your gaming portal. You should of course have sections on the page that you as a gaming portal specifies to be able to communicate what you want.